"To preserve the integrity of all WBCBL game rules with the upmost professionalism at all times." 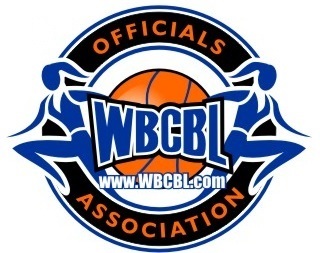 To become a registered WBCBL Official, please complete the application below. In consideration of the acceptance for and participation with or as a member of the Women’s Blue-Chip Basketball League (WBCBL), I do hereby, for ourselves, heirs, executors, and administrators, waive, release, and forever discharge any and all rights and claims for damage which we may have or which may hereafter accrue to us against the WBCBL and our facilities, owners, and/or any of its teams, the coaches, sponsors, administrators of the playing field, or their respective officers, agents, or representatives, successors, and/or assigns for any and all damages which may be sustained and suffered by us in connection with our said association with or entry, and/or arising out of our traveling to, participating in, and returning from the WBCBL and our practice facility, events, games, practices or exhibitions conducted. By submitting this application, I agree to join the WBCBL Officials’ Union and follow the rules and ethics of the WBCBL. As a member, I agree to participate in weekly correspondence with the WBCBL Director of Officials. By submitting this application, the undersigned also authorizes the WBCBL to distribute the officials’ information to media, sports agents, talent scouts, and professional teams for possible future contact regarding professional job opportunities, professional camps, team visits, or professional play. ​By submitting this application, I authorize Women's Blue Chip Basketball League to verify my credentials and history. 1- I agree to serve as an independent contractor, and not an employee of the WBCBL or any of its affiliations. 2- I agree that, as an independent contractor, it is my personal responsibility to insure that I have received proper medical, physical examinations and proper medical clearance for my accepted assignments. 3- I agree that, as an independent contractor, I am not covered by workman’s compensation or any other insurance policy held by the WBCBL organization or any affiliates. 4- I agree that, as an independent contractor, it is my own personal responsibility to ensure that I have the appropriate personal insurance to cover any and all liability and or expenses and or loss of wages that may occur as a result of injury or damage sustained to me and or others while fulfilling the accepted assignment(s) and or traveling to and from accepted assignment(s). 5- I agree that, as an independent contractor, I am not an employee of the WBCBL or any of its affiliates and that no withholdings will be deducted from any fees; however my fees may be reported by the WBCBL on a form 1099 or the appropriate Internal Revenue Service Form, so I will be earning reportable income. 6- I agree to hold the WBCBL, Executive committee, Commissioner, Director of Officials, Officiating assignors and all WBCBL affiliates harmless from any and all liability for injury or damage sustained as a result of any assignment(s). As well, hold harmless of any fault to the Director of Officials, his staff and affiliates, if the WBCBL business structure within the league fail to function as planned, or discontinues at any time. 7- I agree to attend all required officiating meetings, clinics and phone conferences as required by the Director of Officials, or the league office administration. As well as to keep current on all WBCBL rules, policies and any dues or fees that may be required. 8- I understand and accept the fact that the WBCBL, may dismiss a currently planned or announced team(s) from the league, or that a team(s) may simply fold prior to, or during the season. If that does occur, I fully understand and accept if it occurs within my immediate area in which the team is located, that I may possibly not be assigned to any other games in the WBCBL for that season and perhaps not until a team is relocated into the immediate region. I also understand and accept that any fees or costs that I have incurred to that point will not be reimbursed to me from the WBCBL, Director of Officials, or any affiliates of the WBCBL. 9- I understand and agree that I can be hired as an Associate or Regular officiating staff member. I further understand that there are NO guaranteed amount of games in which I am to be assigned. 10- I understand and agree that each WBCBL home team that I may work for is responsible for that game fee payment to me. 11- I agree to officiate impartially and solely in accordance with in the rules of play and to arrive to the site of each assignment at the prescribed time for each contest. (No later than one hour prior to game time). 12- I agree to complete and return to the Commissioner, Regional Supervisor and the Director of Officials any required reports or forms related to the accepted game assignment. 13- I agree that any game assignment(s) is subject to cancellation by the WBCBL, Director of Officials or Regional assignors when in their judgments, it is deem that such cancellation is in the best interest of the WBCBL or affiliates. By submitting this application, I agree to all of the rules set forth in the above agreement. I agree to abide by all of the rules and will conduct myself in a professional manner at all times. Please list all; known medical conditions. If none, enter "NA"